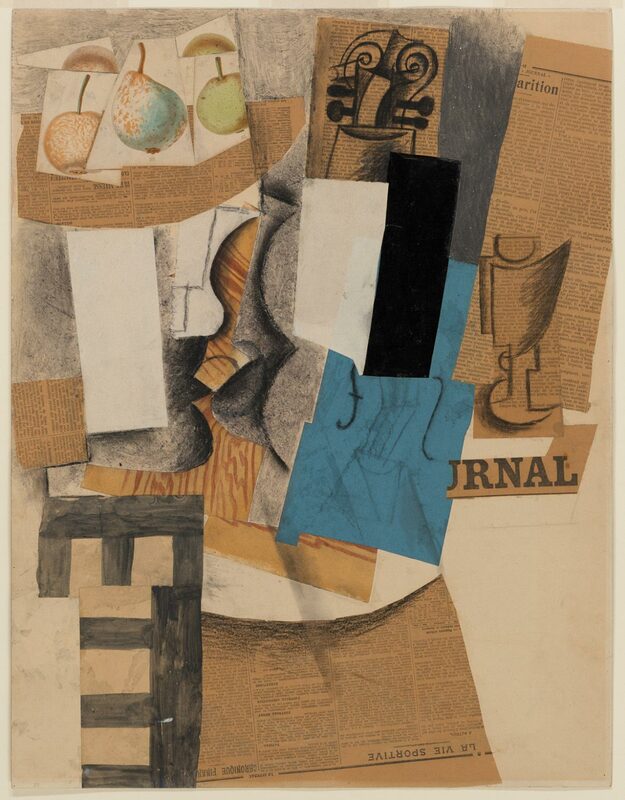 Pablo Picasso and Georges Braque pioneered the technique of collage in 1912 as they were inventing a new approach to painting that would come to be known as Cubism. Cubist works are not driven by the goal of illusionistic representation, but instead rely on an internal compositional logic. The pasted strips of colored paper in this work function as integral elements of the overall composition as well as independent units.